First Broadway show of NYC Outing Week’s Broadway Week. I’ve been looking forward to this show as I’ve only heard good things about it from a coworker. My ticket was only $50.50 for orchestra seats (top right) and the view wasn’t bad. I love orchestra seats so it’s definitely worth purchasing. The show begins with a group of musicians from Egypt who are heading to the Arab Cultural Center in Israel for an engagement but ended up in a small village in Bek Hatikva. Dina, the cafe owner who describes Bek Hatikva as “beige, bleak and bla bla bla” offered them a meal and a place to stay for the night as the next bus doesn’t arrive til the next day. In one night, we see Egyptians and Israelians with cultural differences come together and learn about each other through human connection. It was lovely to learn the stories of each characters – Tewfiq, the band conductor who never got along with his son which led to his suicide and ultimately, his wife couldn’t bear the heartbreak and took her own life. Dina, who doesn’t belong in a small village but she clearly stated she wouldn’t leave. You have a local who guards a telephone that never rings; an uncompleted clarinet concerto. 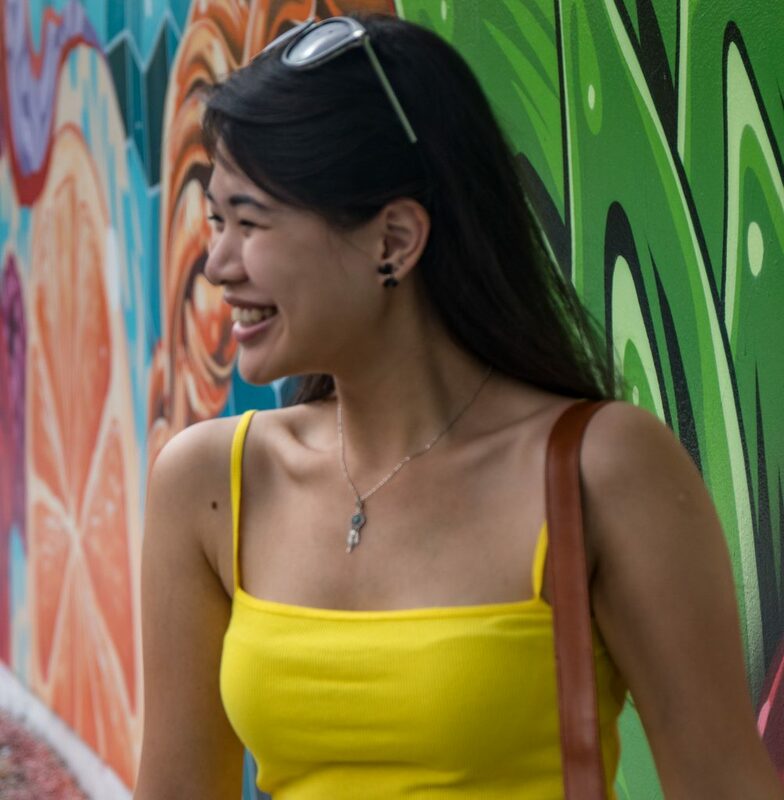 We’ve all have anxiety going out with ourcrush, haven’t we? It just takes a little boost in confidence to make it work. The plot is simple and runs for 90 mins, a show that we can relate to in different ways. Near perfect sweep of the 2018 Tony Awards including Best Musical and Best Original Score, I had high hopes – I mean, it MUST be really good to win so many Tony awards, right? Somehow, I just didn’t enjoy it as much as I thought I would. I’m not saying I hate it, I just thought it’s pretty slow and one of the reasons may be that the musical style is not my style. However, I’m not saying I will never watch this show again. After coming out of the theater, I realized that it’s pretty relatable. It’s about people you encounter with everyday, strangers who extend a hand to others who are in a tough spot, showing compassion to others and understanding others. Everyone has their own story to tell. So yes, I’m considering giving the show another go, maybe I’ll enjoy it the second time. If you’re interested, you can check out the tickets on their official website. 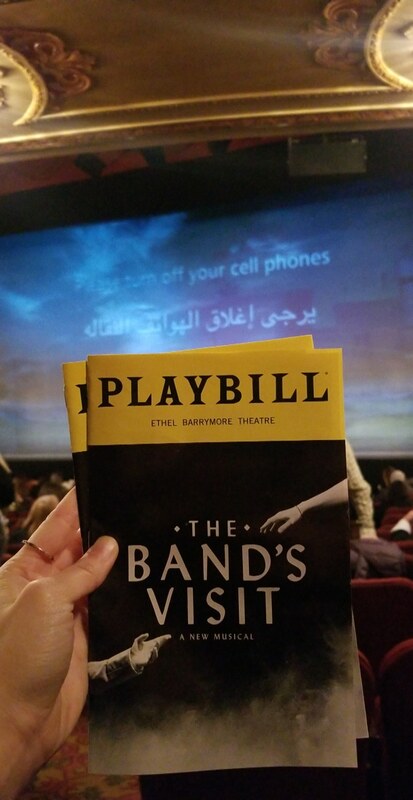 Have you watched The Band’s Visit? Which Broadway show is your favorite? I can’t wait to share with you my favorite Broadway show!